The recordings made at the Down And Up stereo and surround tours during 2012 – 2014. 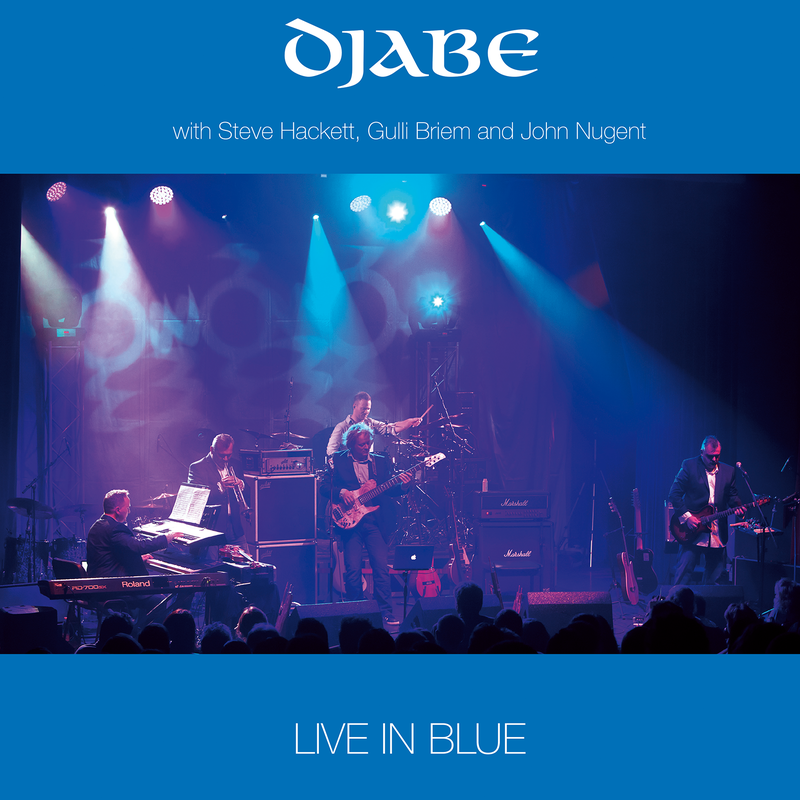 This is the first episode of the Live in Blue LP, 2CD, DVD, Blu-ray and five disc box series. Each release will contain minimum one track is not can be found on the other discs. Djabe in 2012 in connection with the Down And Up album release started a concert series in Hungary, Europe and Canada. The tour lasted until the summer of 2014. The gigs are often joined by friends of the band. Steve Hackett played guitar from Genesis, Gulli Briem of Mezzoforte added drums and percussion, living in New York the Canadian born saxophonist John Nugent (Tony Bennett, Ella Fiztgerald) completed the list of guests. The Miskolc concert on 10 November 2013 was particularly unusual because the Miskolc Symphony Orchestra and Sára Kovács on flute also contributed to the program. The first item in the Live in Blue releases, the vinyl LP represents each stage line-up of the all the gigs. You can hear the classic line-up of Djabe (Barabas, Banai, Égerházi, Ferenc Kovács, Zoltán Kovács) in Los Sipos from the Miskolc concert and Life Spirit from Óbuda. This composition is taken from the Forward to the album, and will not appear on the other Live in Blue discs. Steve Hackett with Djabe can be heard on the Ace of Wands from Miskolc. Jacuzzi and the Overnight Sleeper are also from Miskolc. Zoltán Kovács arranged and conducted the Symphony Orchestra. Sára Kovács played flute and Steve Hackett acoustic guitar.